TORONTO -- A Canadian mining executive who was kidnapped seven months ago by Colombian rebels opposed to his company's gold mining project has been freed and will soon return home, the International Committee of the Red Cross said Tuesday. Gernot Wober, 47, was released by National Liberation Army rebels in a rural region in northern Colombia and was transferred by a Red Cross helicopter to the city of Barrancabermeja, north of Bogota. The ICRC said Wober was in good health. 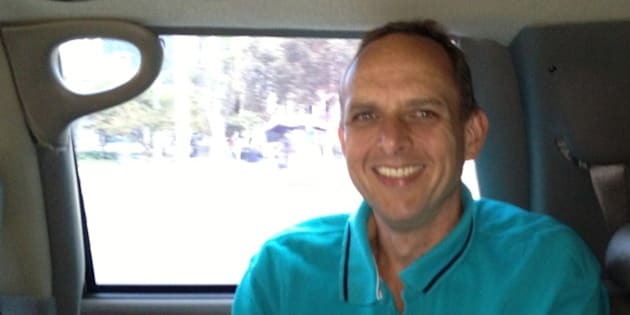 Wober, vice-president of exploration of the Toronto-based Braeval Mining Corp.(TSX:BVL), was abducted on Jan. 18, along with two Colombian employees and two Peruvian consultants. The National Liberation Army, or ELN, had demanded that Braeval drop plans to explore for gold at the Snow Mine property in southern Bolivar state, saying the land had been stolen from its legitimate owners. Braeval announced last month that it was pulling out of Colombia. The ELN is far smaller than the Revolutionary Armed Forces of Colombia, or FARC, which is currently engaged in peace talks with the government. Both groups emerged in the 1960s, largely as an outgrowth of rural peasant movements seeking a more equitable distribution of Colombia's agricultural lands. The ELN has been seeking to join those talks, but Colombia's President Juan Manuel Santos said earlier this year that there would be no talks with the group until Wober was freed unconditionally. "Gernot does have a wife and a young child and we have every expectation that they want to be united as quickly as possible,'' Chris Eby said. Braeval Mining announced late last month that it would be pulling out of its Snow Mine project because the site had been idle since Wober was kidnapped. In a news release issued last month, the company cited the shutdown to ``unfavourable market conditions'' and said it is shifting its focus to other exploration projects.